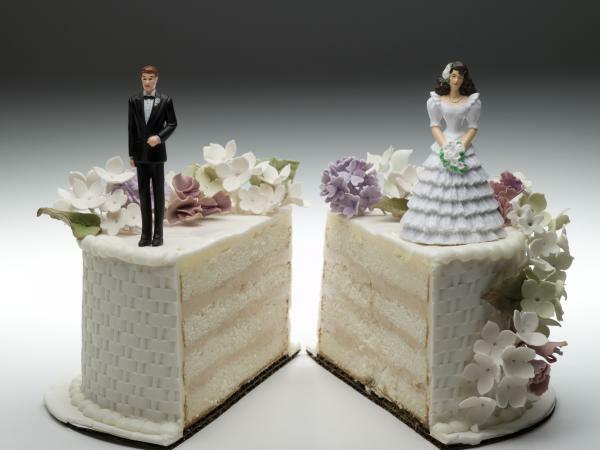 Making the decision to get divorced can be incredibly difficult. Once you have decided to do so, it is important that you feel completely prepared to begin this process and appropriately handle the various situations and reactions that may occur afterwards. Before initiating the conversation with your husband, take some time to organize your thoughts. Think about what you would like to say to him and your reasons for wanting to share that specific information. What you share should not be used to purposefully hurt your partner. When people feel attacked, they tend to go on the defensive, making for an even more unpleasant conversation. Why do I want to get divorced? How will my life change after this conversation? What will my life be like without my husband? Am I prepared for his reactions? What am I hoping will change once we get divorced? How will our assets be split? Will we get a mediator? Am I willing to go through this potentially long and emotionally draining process? Is this decision logical, emotional, or both? What are my goals for this conversation? How did I come to the conclusion that I wanted a divorce? Decide in advance what you want to say. If you have a plan in place, you are less likely to be distracted during the discussion. You may consider jotting down some notes to have with you if you tend to get flustered. Stay calm and state your intention in a firm manner. Remember that you are telling your husband what you have already decided. If you begin getting anxious, try some mindfulness techniques to ground yourself prior to initiating the conversation. Don't bring up the subject if either one of you has been drinking or using drugs. Make a point of using "I" statements when you share the news. "I have given this a lot of thought, and I have decided that I want our marriage to end." This is more positive than making "you" statements such as "You don't listen when I need to talk" that your husband may interpret as blaming him. If you have concerns about how your husband is going to react, ask him to meet you in a public place that still allows for some privacy and notify several people of your location. Create check in times so they know you are safe. If your husband has been abusive in the past, arrange for several places to stay and have a bag already packed and stashed at the house you plan to stay at. If you need further assistance with leaving an abusive relationship, there are several hotlines and resources available to you. There are many ways to inform your partner that you are no longer happy in the marriage and wish to get a divorce. Knowing how your partner typically reacts to more sensitive subjects will help you determine which type of conversation best suits your needs. If your husband typically has outbursts of anger and has difficulty expressing or controlling his emotions, you may want to take this conversation to a public place. When dealing with this type of partner, be clear, concise and straightforward. Keep your explanations brief and more generalized so you can minimize his reactivity instead of going into the nitty gritty details. If you feel unsafe, make sure you have several places to stay temporarily until things cool down. Even though it may seem difficult to do so, try to be as empathetic as possible. People who react in a big way are hurt and use their large reactions as a way to distract from their pain. This in no way means you need to comfort them, but sharing this information with sensitivity can help. "I have given this a lot of thought, and I would like to move forward with our divorce." "This relationship is no longer healthy for me, and I would like to get a divorce." "I know this is difficult, but I am willing to stay with a friend until we figure out the details about filing." "I want to make this transition as smooth as possible and have found a few mediators that can assist us with moving forward with our divorce." If your husband typically remains calm in stressful situations and acts appropriately during arguments, you may want to have the conversation in the privacy in your own home. With more understanding partners, you can share a bit more about why you would like to get a divorce, keeping in mind their feelings as you do so. You can consider expressing your thought process and check in about how they have been feeling as well. Chances are if one partner is unhappy, the other is as well. These partners may be open to exploring how to go about getting a divorce, how you both can make the process easier on each other, and how to stay in touch if wanted. "I have been feeling unhappy in this relationship for a long time, and I have decided that the healthiest decision for me is get a divorce. How have you been feeling?" "This was a difficult decision for me, but I know this is what I want." "I would like to maintain our friendship after we get divorced if you are open to doing so as well." "I think mediation would be helpful. What do you think?" If you have children with your partner, save this conversation for a time when there are no children present. Discuss why you would like a divorce and how you think it will be better for the children overall. If your husband also wants a divorce, discuss how you would like to tell the children after you both have agreed upon a plan for co-parenting, custody, living arrangements and dating. If your husband is resistant to getting a divorce, try to agree to not share anything with the kids until you both have come to a decision. It is inappropriate to use children as a way to get back at each other and can cause severe emotional and mental distress to them to be caught in the middle. "I know that this will be a big adjustment for all of us, but I know I'll feel healthier if we end our marriage and get a divorce." "I want to work with you and continue to stay a strong co-parenting team. Let's discuss a few ways we can do so." "For now, let's keep this between us until we have a little bit of time to process this situation." "Let's figure out the best way to talk to the kids about this. What are your thoughts?" "I want to make sure the kids are told this news in the most supportive, loving way possible. Let's think about the best time to tell them." After having this conversation, you both may be feeling emotionally drained. Common feelings include grief, sadness, anxiety, relief and confusion. Remember having this conversation is just the beginning of the divorce process, so if you feel overwhelmed, make sure you reach out to friends, family members, support groups and therapists who can help you navigate this challenging process. Know that you are not alone in wanting to get divorced, and women are typically the initiators of this process with research noting statistics as high as 70 percent. Coming to the decision to go through with a divorce can be difficult, exhausting and completely heartbreaking. Take your time when planning out when to have the conversation, what you would like to say, and how you would like to say it. Make sure your backup plans are ready if the situation becomes dangerous. Remember to be kind to yourself and be sure to find extra support if needed.